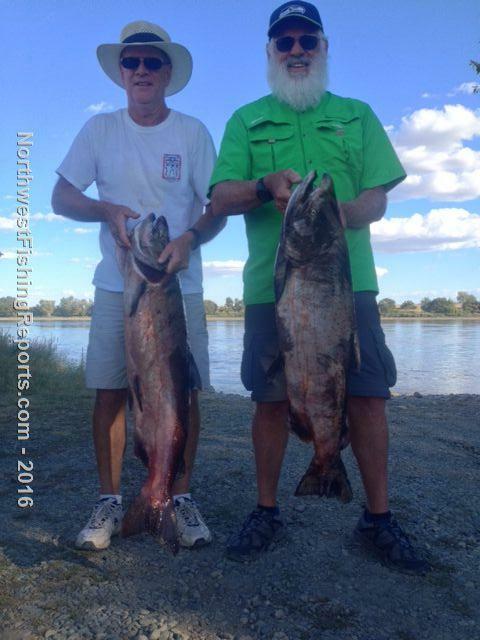 Well I am off to a pretty good start to the 2016 fall salmon season down here at Virnita bridge. Fishing is a little slower than I would like, but we are catching some really nice fish right now. 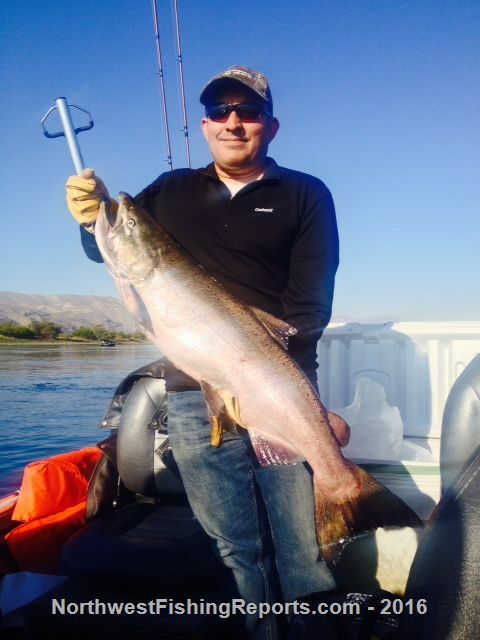 Our biggest fish this week was a 30 pounder that peeled off 460 feet of line before he stopped. Wow, what a great fish. Surprisingly we are seeing some large hatchery fish too. The largest being a 27 pound buck. 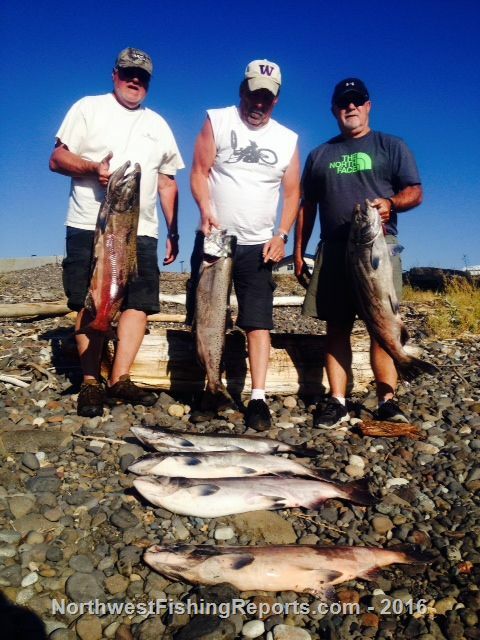 My crews have landed 31 kings this week, and all of them have great quality meat. Nothing has been super consistant right now. One day we catch em at 18' and the next day we get them right off the bottom. It was great to have NWFR member Partime and his son on the boat wednesday morning. We had a fabulous morning trolling superbaits. All of the red colors were producing this morning. 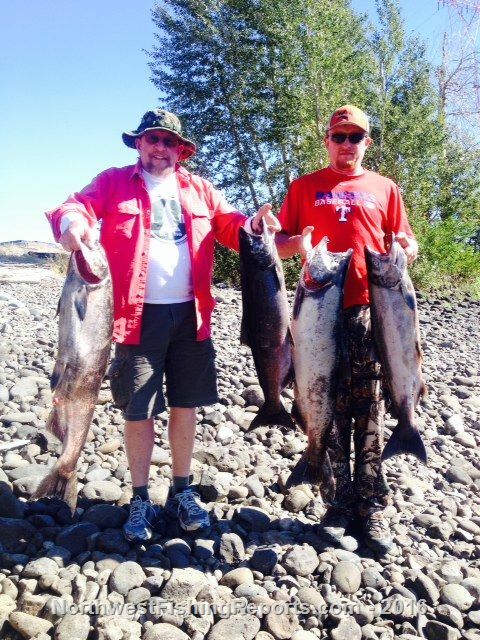 This father and son duo did an awesome job this morning landing all five Chinook we connected with. The largest weighed in at 27 pounds. I'm looking forward to the upcoming weeks as more and more fish swim up the river. If anybody is interested in joining me I have several openings. My soonest are Sept. 27-30. Also many October dates are available. Feel free to check out my website captaindavesguideservice.com for more info, or give my Face Book page a like for trip updates. 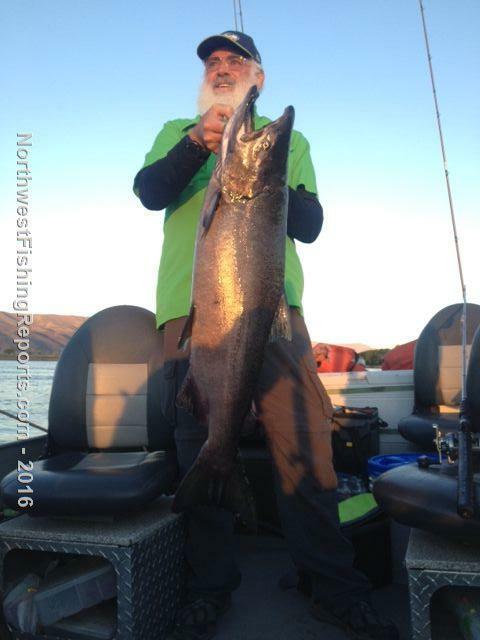 Just search Captain Dave's Guide Service on Facebook. Thanks for a great day Dave, we had some fun for sure.